The Santa Cruz Mountains hosted many small freight and passenger stations over the decades and one such station was Hayes, just south of Eccles. 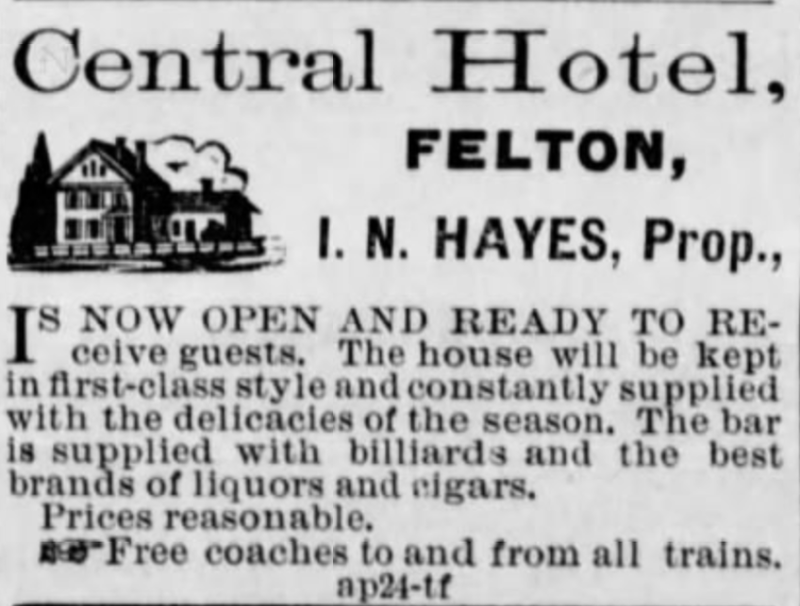 The station catered to the property of Isaac Newton "Jack" Hayes, born in 1836 and originally from Michigan, who was well-known in Felton as the owner of the (Grand) Central Hotel from 1885 to 1900. However, his station was probably installed to support a lumber partnership Hayes had with Thomas Hubbard, another prominent San Lorenzo Valley resident. 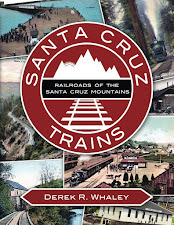 In the late 1880s, after the Dougherty Mill on Zayante Creek had burned down, Hayes and Hubbard operated as independent contractors for the Santa Clara Valley Mill & Lumber Company, harvesting timber on Zayante Creek tracts and probably shipping the wood uncut to the company's main mill in Santa Clara, although it is certainly possible the wood was taken to the Dougherty Mill north of Boulder Creek for processing. 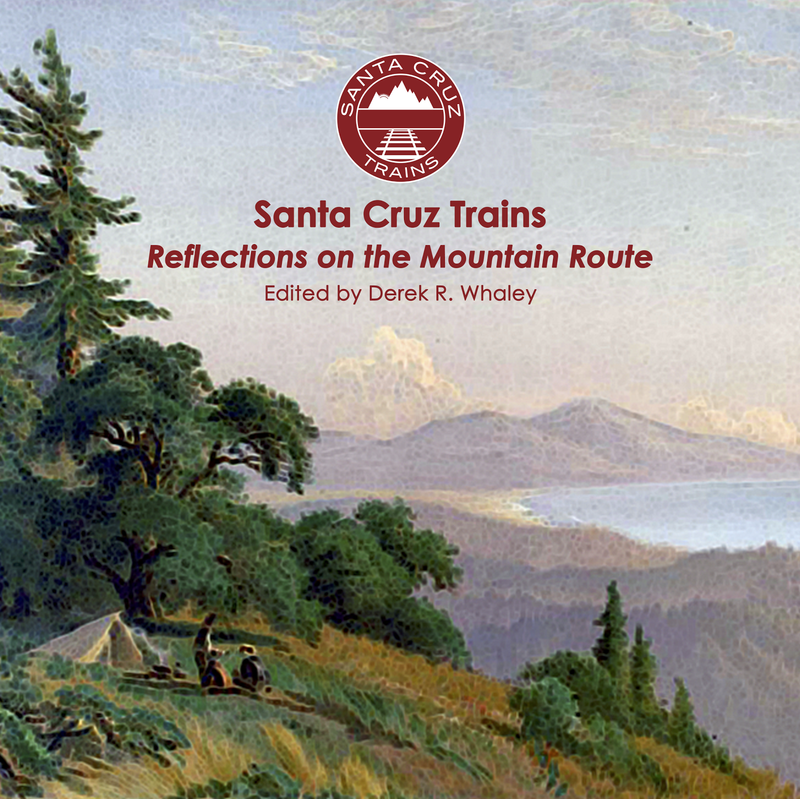 The Southern Pacific Railroad installed a 98-foot-long spur at Hayes around 1890 along the narrow-gauge sub-division at a point mid-way between what would become the Kaiser Quarry freight spur and the Pacific Coast Aggregates/CEMEX spur, in the vicinity of the Zayante Fire House. Current property lines confirm a wider than usual right-of-way in this area, easily capable of fitting a spur beside the main track. Indeed, the meadow upon which the fire house now sits may have been an assembly or holding yard for the timber. It is unclear if Hayes had a platform or loading device of any type, but it seems likely. Isaac Hayes died October 23, 1900, suffering from years of rheumatism and going into shock after having a leg amputated. The station remained on station books until 1911. Indeed, the spur may have even been upgraded in 1908 to standard-gauge since a 215-foot-long spur is listed on timetables for the years 1909-1910, but then it disappears from all records. What it was used for during these years or, indeed, all the years after 1900, remains a mystery. Hayes was probably located immediately to the east of the Zayante Fire Station along the tracks now owned by Roaring Camp Railroads. As such, trespassing is not encouraged. 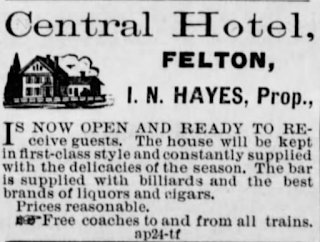 There are no remnants of Hayes or its spur remaining, although the standard-gauge tracks still pass through the area on their way to Olympia.